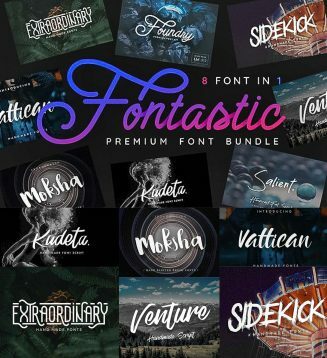 Introducing amazing font bundle with 8 fonts: Venture, Vattican, Extraordinary, Foundry, Kudeta, Moksha, Salient and Sidekick. This file is not available. Tags: brush font, calligraphy, calligraphy script, font bundle, lettering, script.